RE/MAX Exclusive Collection is our newest branch office location in the beautiful College Park area. 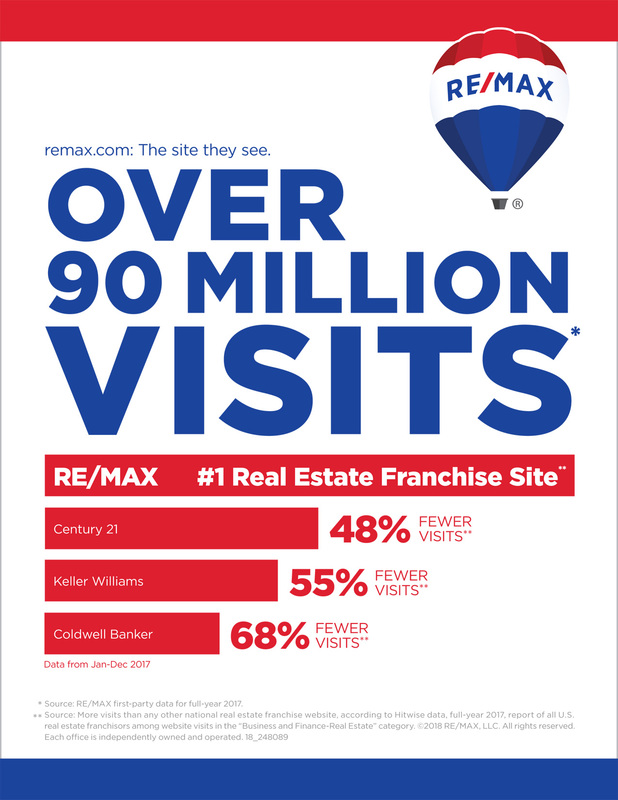 The professionals at RE/MAX Exclusive Collection are experienced with serving clients from Downtown Orlando through Winter Park and beyond. Source: MMR Strategy Group study of total brand awareness of real estate organizations among buyers, sellers, and those planning to buy or sell. 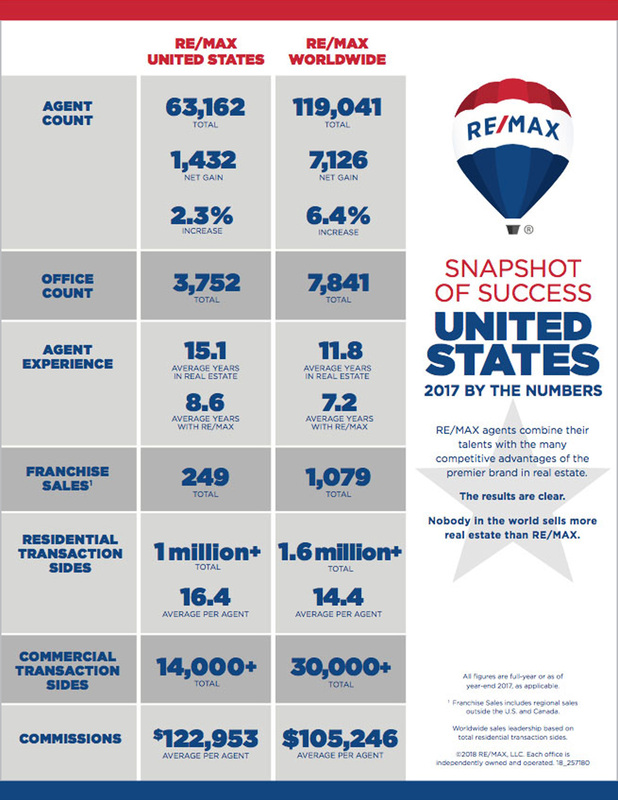 • RE/MAX has more than 115,000 agents in over 100 countries and territories, a greater worldwide footprint than any other real estate brand. 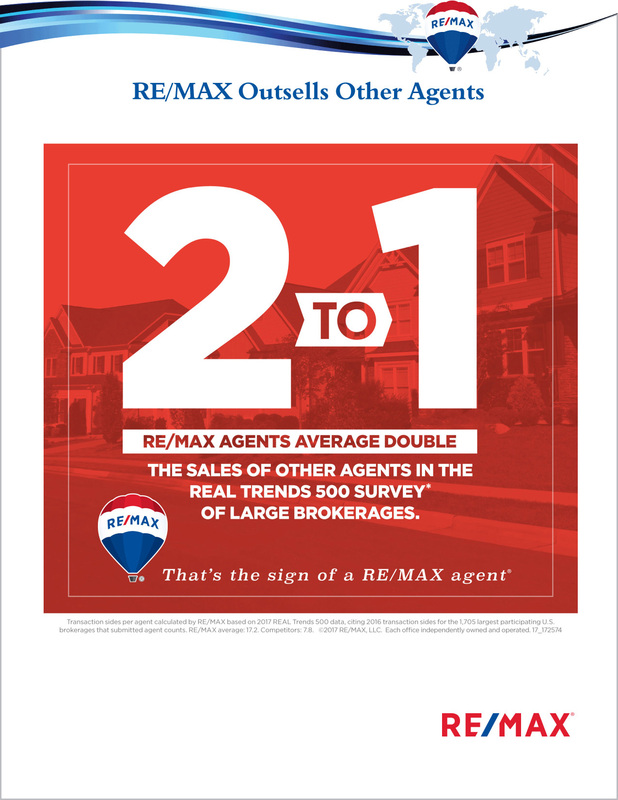 • RE/MAX Associates average more real estate sales experience than other real estate agents. 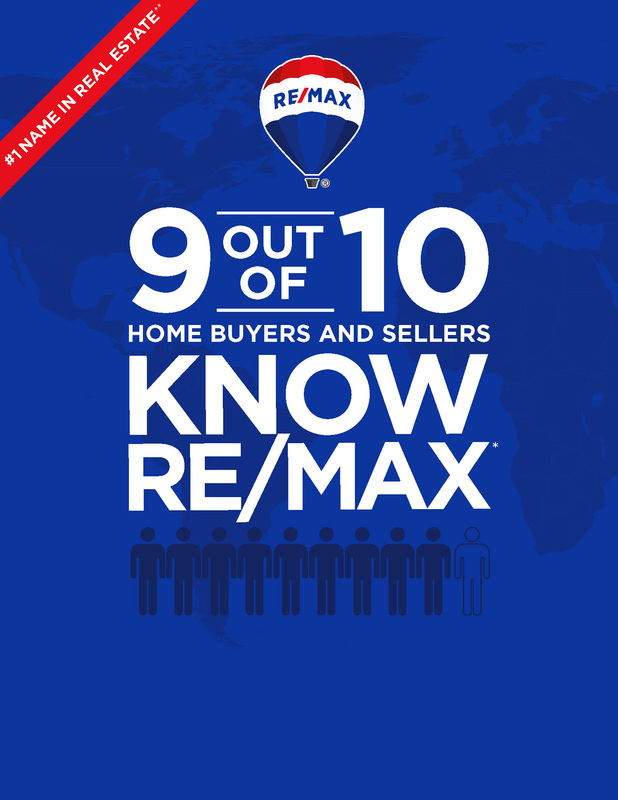 • RE/MAX leads the industry in professional designations, illustrating increased expertise in working with buyers and sellers. 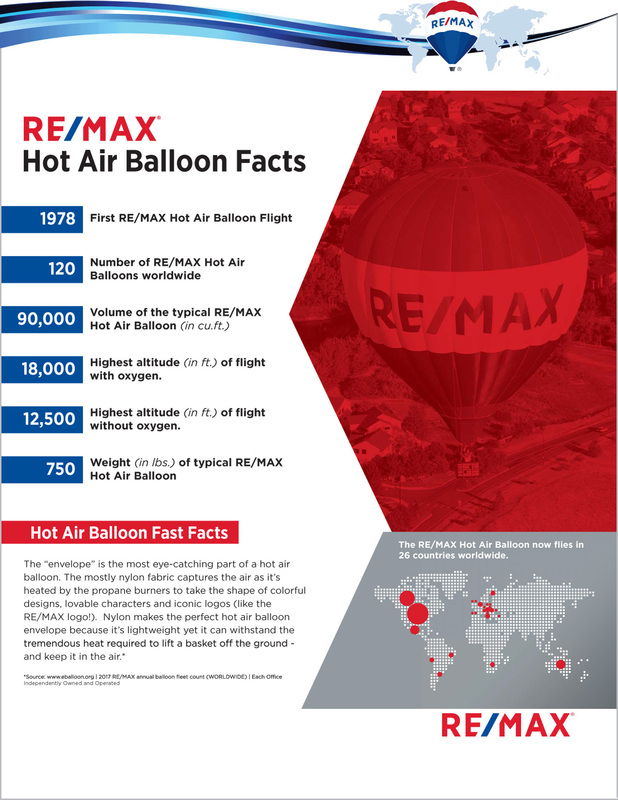 • With more than 100 balloons, the RE/MAX Hot Air Balloon fleet is the largest in the world. 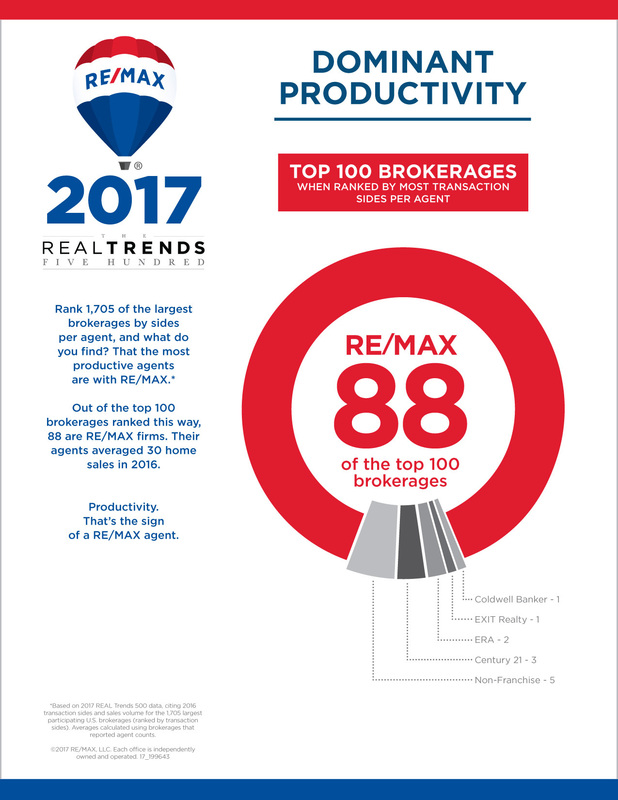 • On average, RE/MAX agents outsell those from other national real estate franchises in comparisons of the largest real estate brokerages, most recently in the 2016 REAL Trends 500 report. 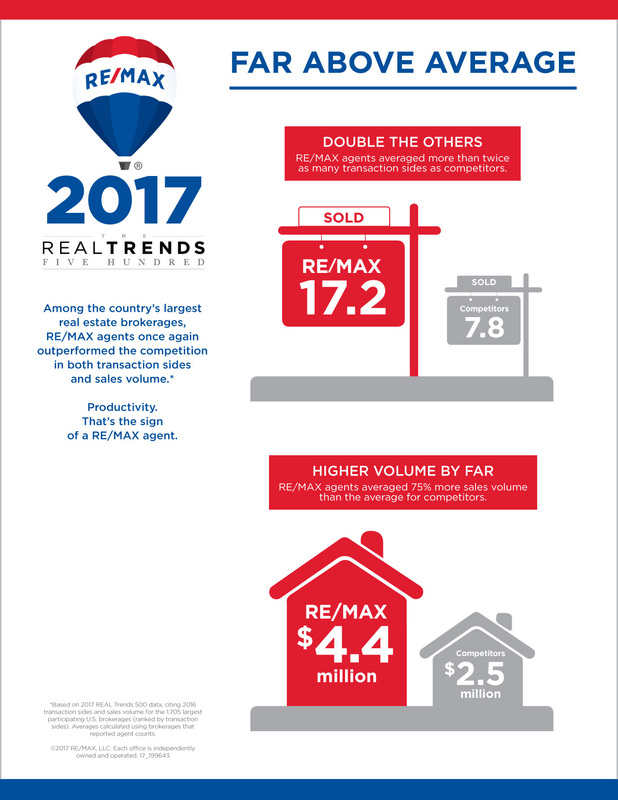 • RE/MAX leaders are frequently invited to talk about real estate issues in the news media and on national TV news programs. 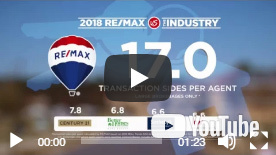 • RE/MAX has held number one market share in the U.S. and Canada since at least 1999, as measured by total residential transaction sides completed by its agents. 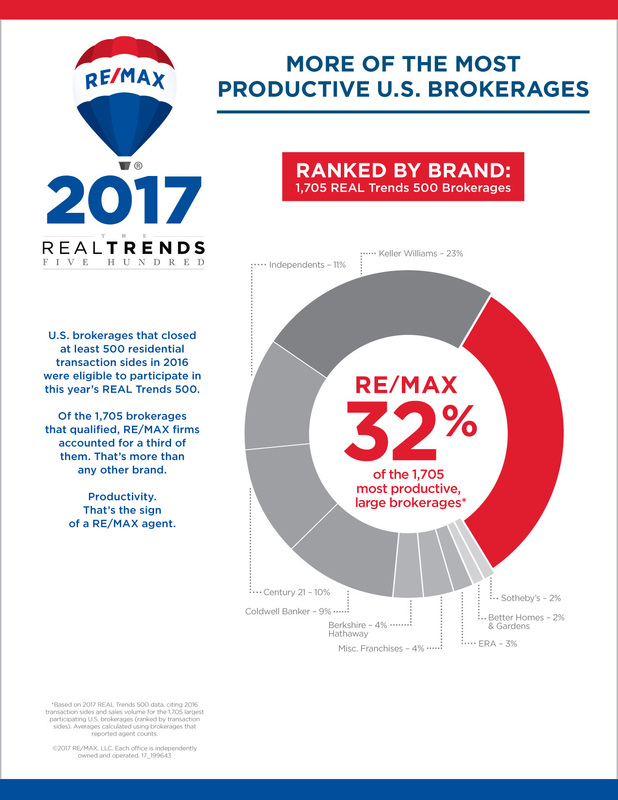 • The RE/MAX brand is built with an agent-centric approach, designed to attract and retain the best-performing and most experienced agents. 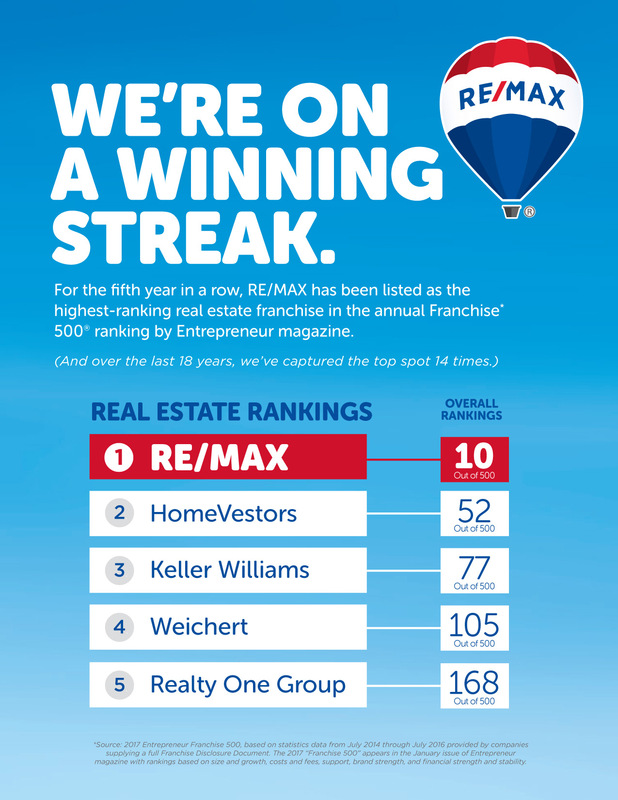 • RE/MAX agents have raised more than $147 million to Children’s Miracle Network Hospitals since 1992, and RE/MAX is one of the top three donors of all time. 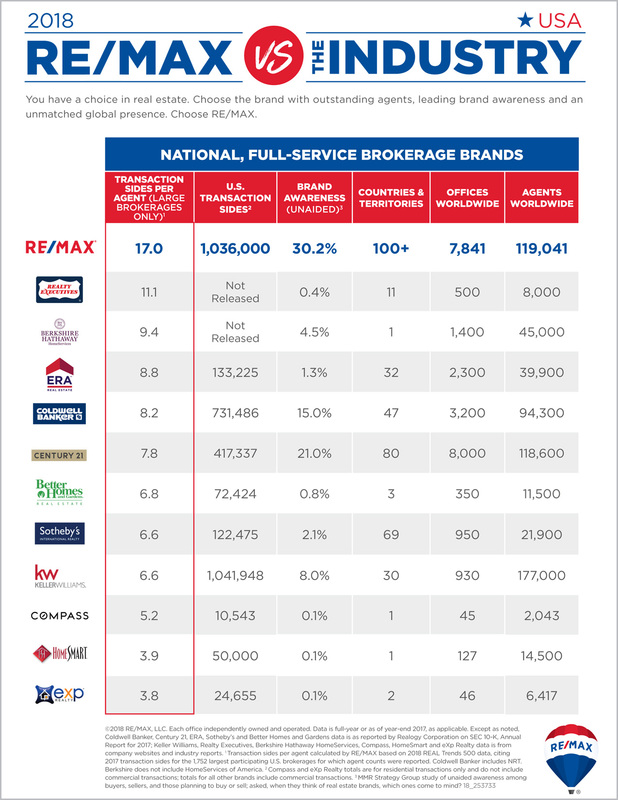 • RE/MAX agents have been recognized for their community service through the National Association of Realtors’ Good Neighbor Award program. * Source: MMR Strategy Group study of unaided brand awareness.